Exercising is an essential way to maintain a healthy body and mind. Through this activity, we can achieve a stronger physique and improve our health and what better way to exercise than working out in a gym? 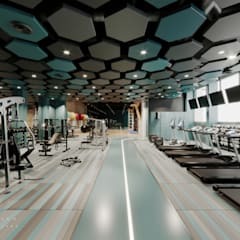 A gym is an ideal place to train your body, though it may not be always available at your convenience considering all the busy activities you have every day. That’s when a home gym comes to the rescue. 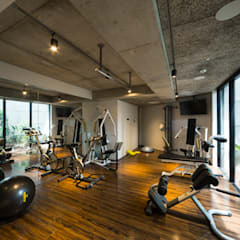 Home gyms are best if you want to get fit and would save you from gym fees and from frequent travels to a fitness center. You will also be able to do your thing anytime you want to without taking a huge chunk from your schedule. 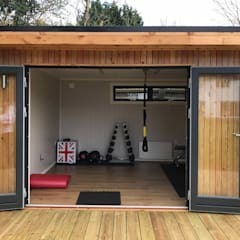 A modern home gym may be a great addition to your property, that’s why we have provided a helpful guide on some ideas about setting up a gym at home. The hardest part of a workout is most often simply showing up. This is especially true in the case of beginners who bring along with them all the enthusiasm in the world on the first two days. 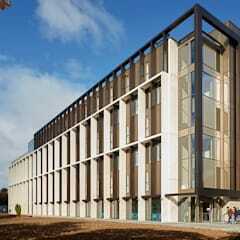 Pretty soon, sore muscles and a busy workday ensure that they put off the gym routine indefinitely. It is a vicious circle really, but home gyms allow you to break it for good. 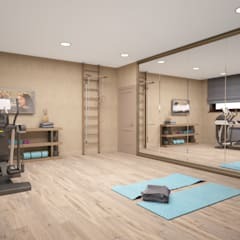 With all the workout equipment right at home and available in any hour of the day, it’s convenience and accessibility brings joy to any fitness buff. 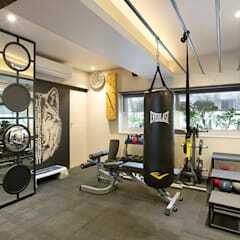 Home gyms are all about adapting the workout routine and timing to suit your lifestyle and its various constraints. Now consider your home life. Do you have young children? 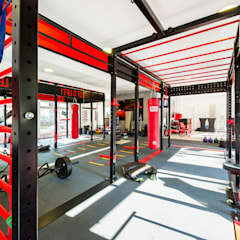 If so, a home gym can be a great way to exercise without spending ages away from your family. Just keep in mind that in order to have an effective workout, you need to create a space and time period that's free from disruption and distraction. 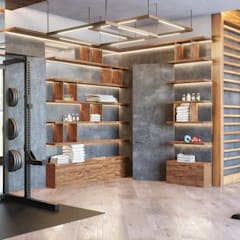 Once you’re hooked on a workout routine, pretty soon you will think about reviving things up a notch and taking your home gym to a whole new level. 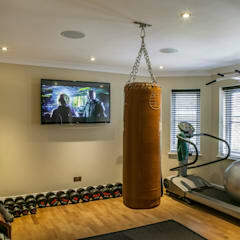 Exclusive home gym rooms are not just for those with unlimited cash. 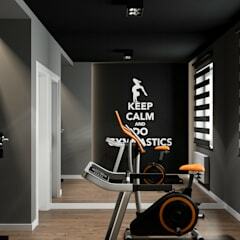 There are plenty of simple tricks that will enable you to design your own home gym on a stringent budget. Start off by making a list of what you need specifically for your own workout routine. A home gym does not need to replicate the fancy one at the end of the street. A few weights and a simple bench often are good enough to get you started. 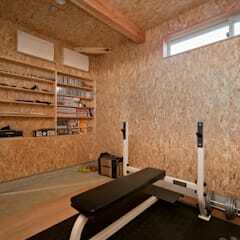 A dedicated room for the home gym need not always be large and expansive. Even the 14-square metered corner of the bedroom can be turned into a workout area by adding a treadmill and a few weights. Most people will attest to the fact that running is one of the best ways to get a total workout without messing with complex routines. Just combine the treadmill with a stand for the weights and a small television or even a laptop in the corner, and you have a deft little nook to start pumping iron! 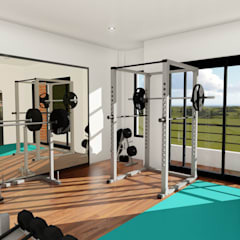 Small home gyms feel less claustrophobic when you add a mirror or two to the space. Since this also ensures you do not make any mistakes with your lifting reps, it is an addition that is both aesthetic and functional. 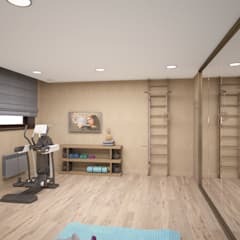 Just turn the old attic or a lonely corner next to the laundry room in the basement into a workout zone, and pretty soon you will notice the many benefits it offers. 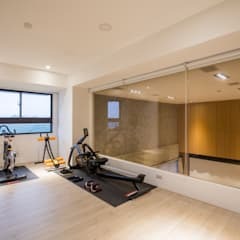 Some would consider the perfect gym at home as one having big mirrors, fancy large screen TVs and a wide range of varied equipment, but that is not the only way to design a gym at home. 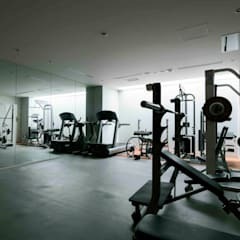 Most homeowners tend to prefer a workout zone that combines the gym with another room, as it offers a practical, space-saving solution. 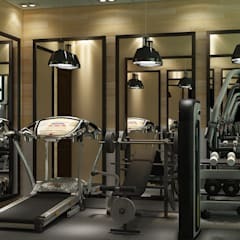 Not only is a dual-use gym far less demanding on room, it also brings a fun and playful vibe to your fitness routines. 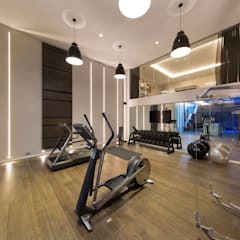 Whether you wish to combine a stunning indoor lap pool with your gym or add a relaxing Jacuzzi and some stylish seating options, these smart home gyms get it done in style. 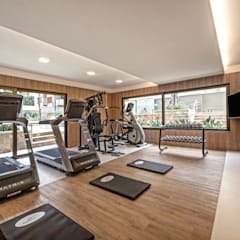 In addition, a home gym design concept that is gaining popularity quickly among young families is the combination of workout spaces with kids’ playrooms and work areas. 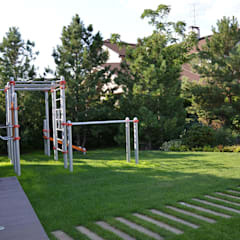 This way, parents can keep an eye on the little ones as they whip themselves into shape. This fun combination of spaces and the energy levels that the kids bring to the table can be pretty infectious! 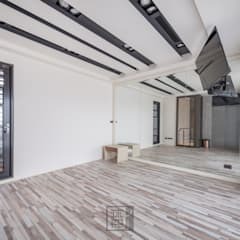 You can also easily bring together a modern home office with a simple desk and chair arrangement, a few cabinets and several workout essentials to design a space that is perfect for dual use. 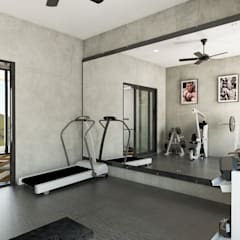 Just like every other room in your house, the home gym is also all about creating a space that you are comfortable with. That is one of the main advantages of bringing the gym home. You can play the music you love, paint the walls any which way you want, and organize it any way you want it to be. Inspiration is a very important part of building a workout routine and often something that is overlooked. It’s hard to keep yourself constantly motivated without an encouraging word or two. So why not let the walls of your home help you along? Custom-created wall murals and decals are both fun and easy to incorporate. You can pick an inspirational quote from your favorite flick or an athlete that you adore. 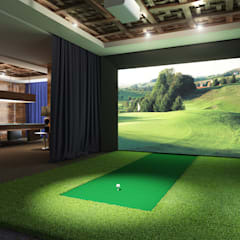 Sports memorabilia or even a picture from your college days hanging on the wall can make all the difference. 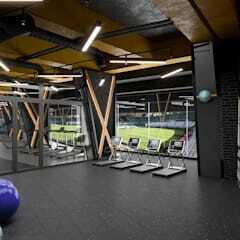 Speaking of walls, there is no universal rule that black and cool steel grey are the only colors that should be used on the walls of a gym. 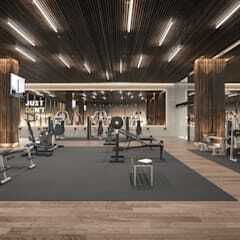 Most commercial gyms opt for these hues to create a calming and neutral setting that everyone can enjoy. 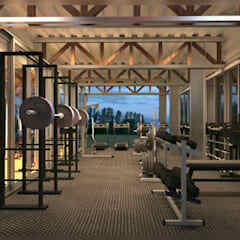 However, your home gym can be clad in any color of your choice. Fresh green, fuzzy yellow, passionate red or invigorating orange, the choice depends on the theme that you want and the ambiance you prefer. From the traditional boxer’s gym style with its look that is rough around the edges, to a colorful space that is clad in the shades of your favorite football team, pick a color scheme that you will enjoy the most. Staying fit is no laughing matter, and you will reap benefits of all the hard work over time. So enjoy the hard yards and meet your fitness goals right at home!